The Txai Resort is a luxury condominium with a private house facing the Itacarezinho beach, in south Bahia. Surrounded by the Atlantic Forest on one side and the sea on the other. 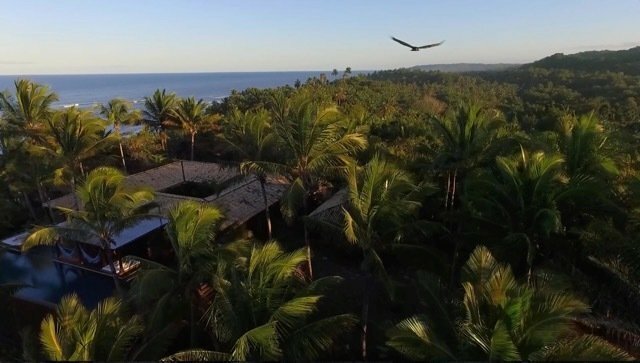 Txai Itacaré is an invitation to live the best of luxury and contact with nature, in one of the most beautiful beaches of the Brazilian coast. With an exuberant view and total privacy the property is spread over 4 levels, which provides a unique experience of contact with nature, and view of different landscapes. It has an infinite pool with fantastic view to the ocean, where you can breathe the fresh air and feel the sea breeze. There is also a bengalo with 2 suites fot guests. Simple yet luxurious decoration makes this villa an oasis on earth.